Paddling in the open ocean carries more risks than paddling near shore and in protected waters. If something goes wrong, it can take longer to reach safety or for help to arrive. You can't simply get to shore and take care of it. You can't simply wait for conditions to mellow out. And there are more things to lead to something going wrong: increasing winds, increasing swells, increased exposure, more rocks and dynamic water. Being able to rescue yourself (both as individuals and as a group) is an essential skill. Let's start with the most basic rescue situation: a capsize. What should happen when you flip over on the ocean? You should be able to fix the situation, get upright and ready to paddle as soon as possible. That means rolling. A lot of people ask: do I really need to learn how to roll? It's the wrong question. The question should be: how can I minimize risk and be as safe as possible while kayaking? Once again, that means rolling. It's by far the fastest rescue. It doesn't involve exiting your boat which brings in a whole bunch of more dangers (losing gear, becoming separated from your boat, getting washed into rocks, etc.). Rolling makes you safer and it also makes you more confident and relaxed, leading to a more enjoyable paddling experience. There really isn't any good reason not to learn how to roll. In whitewater kayaking it's a given - swimming is a danger that increases as you progress and should be avoided if at all possible. So everyone learns how to roll (some to greater of degrees of skill than others, but still - everyone does it). And everyone can learn to roll. I've taught seven-year-olds and seventy-year-olds, three hundred pound couch potatoes, folks with bad shoulders, and those terrified of being upside down. 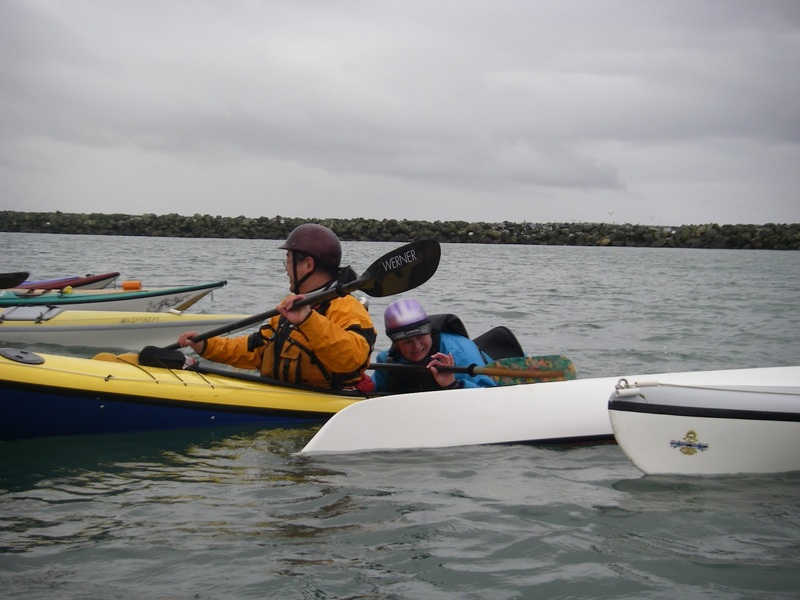 Some sea kayakers avoid learning to roll while they're learning all their other skills, and by the time they're ready to push themselves and explore the coast they've built a mental block that says rolling is hard and it will take too much effort to learn. Hogwash. I do think it's best to learn rolling right along with all the other skills, but it's never too late to learn. It does take time. A good instructor makes a big difference, but it's mostly a mental thing. If you work on being relaxed underwater, upside down, the physical skills it takes to roll are not that demanding. It doesn't require much strength or even a lot of flexibility. It's about timing and understanding how your body and boat work together. And then it's practice and consistency, the same as everything in life. But rolling isn't the only rescue you need - redundancy is always advised. You should have multiple ways to get back in your boat. It's very important to be able to do it by yourself, since even when paddling in a group, help often takes a while to arrive. Whatever conditions make one person flip over often flip others, or at least impede their ability to help quickly. So learn how to scramble. Learn how to do a paddle-float rescue (and since you're learning how to roll, learn how to use a paddle-float for a re-entry and roll). Take responsibility for your own safety and consider any assistance a bonus. There are a number of other good rescues to learn, though perhaps it's OK if you don't know them right away. Scoop rescues, Hand-of-God, bow assists, Cleopatra's Needle, Sit-On-Top (you never know who you might run into on the ocean that needs a hand). Once you start seeing all the ways a paddle can go wrong, you start to realize how many variations you need to know to be prepared. Even if you just read up on these, it will plant ideas in your head that will pay off when that one-in-a-million fluke disaster strikes. You should also realize that rescue involves more than merely getting a paddler back into their boat. Towing is a huge component of safety in rough conditions, whether it's to get an incapacitated paddler in to shore, a swimmer and their boat out of immediate danger, or simply to anchor a rescue so it doesn't turn into a worse situation. Having a tow line and knowing how to use it - and when NOT to use it - are fundamental skills that everyone on open water should have. This is another area where many paddlers seem content to let someone else wear the towline and the responsibility. Once again, your safety is your responsibility, as is everyone else's who you paddle with. We're all responsible for each other but we have no right to expect others to be responsible for us. If this sounds contradictory to you, you need to think it through a little more. It's also a good idea to practice some fundamental skills that often only come in handy during rescue situations. Can you access your day hatch without flipping over? What about a foot peg that's come of the rail? Where is your safety gear stored? I often end up paddling or teaching out of a demo boat and it only takes me about five minutes to get it sorted out for me, know where I'll put things, and how it all works. But that's five minutes built on years of experience and time very well spent before I do anything else. Finally, swimming is something most people overlook. They assume they know how to do it, and it wasn't a big deal when they were floating in the lake next to their boat as they learned a T rescue. But swimming in swell? With wind waves? Wearing a PFD stuffed to the brim with a radio, water bladder, snacks, repair kit, waterproof camera, cell-phone, etc.? All while managing your paddle and trying to chase down the boat that got away from you? That takes a fair bit of skill and that means practice. So you've accepted that you need rescue skills. Good. How do you get them? First, let's be clear that you don't need to master everything before you start out. Good skills are built over time, and it's OK to venture out on the ocean in certain situations with the basic skills down and learn as you go. Just make sure you're with some good people who do have more skills and experience. Start with learning one self-rescue and the T rescue. Your self-rescue could be the roll, but for lots of folks it's going to be a paddle-float or scramble. Both of those are fairly straight forward and can be learned on your first day of kayaking. A paddle-float is a little bit easier on the balance/strength side of things but takes longer and requires more gear. A scramble is simpler but generally takes more practice to find success. The T rescue requires nothing more than a second paddler and most everyone is successful right away. For rolling, you start in the pool. Ideally with warm water, a good instructor, and a nearby pub for discussion afterwards. The key here is patience. Everyone wants to get that first roll under their belt. But the speed at which you learn has little correlation to the consistency you develop long-term. Start by just getting comfortable upside under water. Work on your frame of mind before your physical skills. Then keep practicing every chance you get. It is very important to understand that when you learn these skills in flat water, success isn't the same as competence. Just because you make it back into the boat doesn't mean you're doing it right. What works in flat water doesn't necessarily work in rough conditions, which is why it's so important to learn the little details that make these techniques work when they're really needed. So don't focus your practice on how quick you can get in or how many rescues you can get through in a session. Take your time to make sure that you're doing the little things right. Can you wet exit without letting go of your paddle and boat? If not, you're not doing the rescue properly and you've just started. Work on that until you can. Make sure you know where to position yourself hanging on your boat (hint: not at the very end which will be bouncing the most in rough water). Know how to manage your paddle, how to move along your boat to get to your rescuer's boat without swimming. Know where to hold on, what sequence you do things in, and how to handle variations. Good practice is a combination of developing muscle memory and flexibility to handle real life situations. 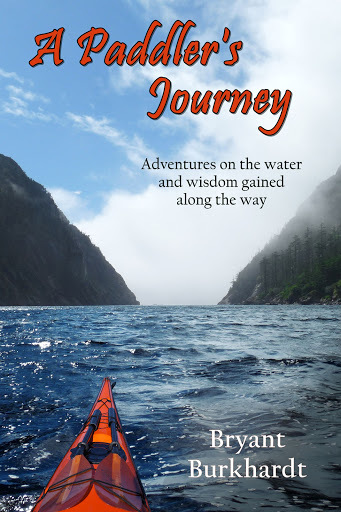 There are too many little points for me to mention them all here - that's why people write entire books on the subject; that's why taking a class from a skilled instructor who has experience paddling in rough conditions is so beneficial. I know lots of sea kayakers who express frustration at other paddlers who never practice rescues because they think they don't need them. But if you're practicing the wrong things, or more likely practicing them without a critical eye, then you're only doing half the job. It's perfectly fine to learn those fine points in the flats. Get them down cold. Add to your tool kit. Practice some towing and dealing with injuries while you're at it. Play around and have fun. But don't assume that makes you ready for the open coast. You need to then transfer all those skills to more dynamic water (including your roll), and it's best to do that under controlled situations before you really need them. So how do you find 'controlled' rough water? First, pick a windy day. Then find a large body of water that isn'tt the open ocean, and stay near the shore the wind is blowing onto. It's very important to understand that winds are generally stronger on the open coast, and they tend to increase quickly and often unexpectedly. Not to mention land features can create gusty winds around points even on what appears to be a calm day. So you better get used to paddling in the wind and that means doing rescues in it as well. As I mentioned in technique, another good place to find semi-protected water is at the mouth of a harbor or marina. Find some swell that's right next to a breakwall so you can drift back towards safety. Or maybe a cove that has a beach without any significant surf (we'll cover surfzone next time). The key thing is to make sure that wherever you go the condition will push you towards easier water instead of away. And maybe start on a calm day so you only have to deal with the swell. But eventually you need wind and waves. The combination adds to something greater than the sum of the parts, and these are the conditions where you really need to be able to perform your rescues because these are the conditions where they will happen. Once again, just pay real close attention to which way the wind is blowing (or you can practice anchoring rescues, another very important technique). Lots of clubs and groups have rescue practice sessions where everyone gets together to work on things. These are great. The best part is to watch others and learn new ways to do things - and try them out for yourself. Different things work for different people and the only way to know is to give it a go. I've seen a lot of little tweaks in how rescue are done and taught over the past twenty years, and while the core technique is the same all these little pieces make things faster, easier and safer. But also realize that these sessions are rarely done in 'real' conditions because having a lot of people do new rescues in really rough water is a bad idea. Learn when you can, practice with deliberate thought and action, and then try things out when you get the chance to do so safely and with backup. It's important to note that rescue is a very broad topic and I've only hit on the basics. Performing rescues in rock gardens, dealing with unconscious paddlers and medical emergencies, handling situations when you're in the remote wilderness - those all require much more knowledge and skill and go beyond what this series is about. The truth is when you look at most of the kayaking incidents on the ocean they're about people getting in a little over their head in fairly local waters. And in most cases a really solid grasp of the fundamentals would have made the difference. Get the basics down well. Advanced stuff will come as you advance. As I said at the start (and will repeat often), it's all about risk management. Personally, I'm very risk averse (yet I paddle class V and do solo ocean crossings). Over years of teaching and practicing, I've done hundreds, if not thousands of rescues. I've done them in all kinds of different boats, in flat water and huge swells. 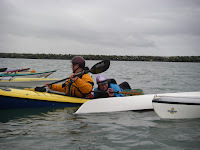 I know what I can handle and by being able to handle a lot I feel comfortable paddling in places and situations that do contain serious risks. But they also contain incredible beauty and life-affirming experiences that couldn't be found without that risk. I've minimized it as much as possible so I find it easier to enjoy myself while I'm out there. That's the goal.